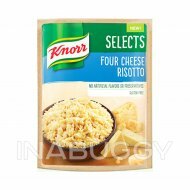 Push your boundaries in the kitchen with Knorr®! 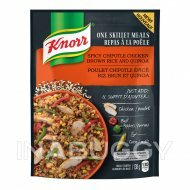 If you are looking to create a delicious one skillet meal featuring ancient grains like barley, Knorr can help you! 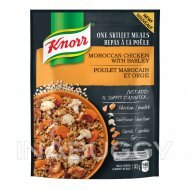 Knorr® One Skillet Meals Mediterranean Lemon Chicken with barley is seasoned with lemon, savoury herbs & garlic, just add protein and vegetables, follow the recipe, & enjoy a tasty meal you can feel good about eating. 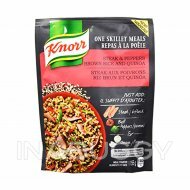 The new Knorr range of delicious meal starters features ancient grains like barley and quinoa. 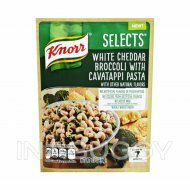 Just add chicken or beef and fresh vegetables to create a satisfying main dish that is full of flavour. 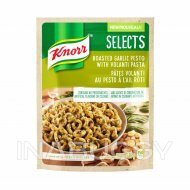 Perfectly seasoned with herbs and spices, with no artificial colours or flavours, Knorr helps you turn wholesome ingredients into tasty main meals. 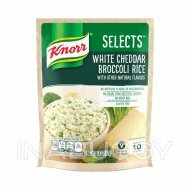 Cooking with Knorr ancient grains is fun and easy! Simply toss chicken in a skillet, add water, carrots and the contents of Knorr One Skillet Meals. Bring to a boil. Then place the spinach on top of the barley, stir until well blended & enjoy! Prep time is 10 minutes and cook time is 28 minutes. This One Skillet Meal recipe serves 4 people. 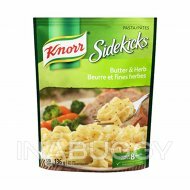 Knorr One Skillet Meals comes in 4 delicious flavours! Try our Moroccan Chicken with Barley, Steak & Peppers Brown Rice and Quinoa, and Spicy Chipotle Chicken Brown Rice & Quinoa.